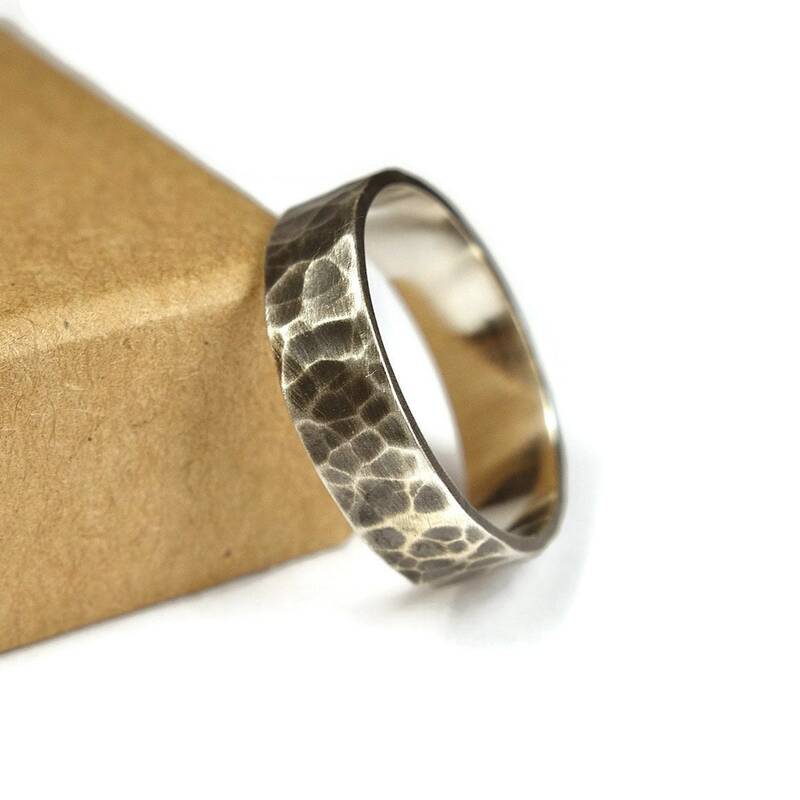 This wedding band set has a flat shape. 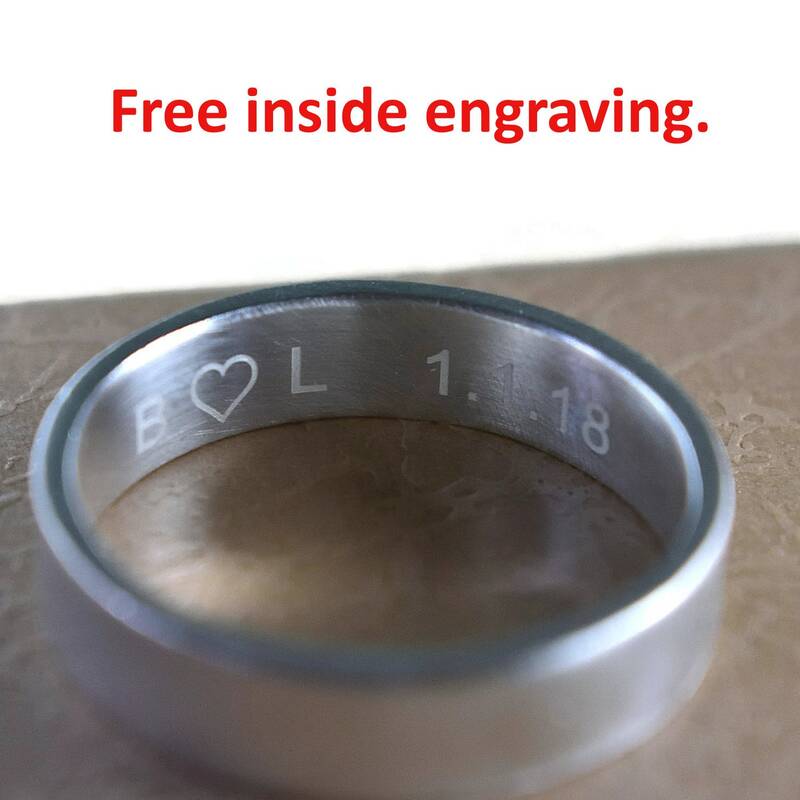 These are made of sterling silver and designed for men and women. 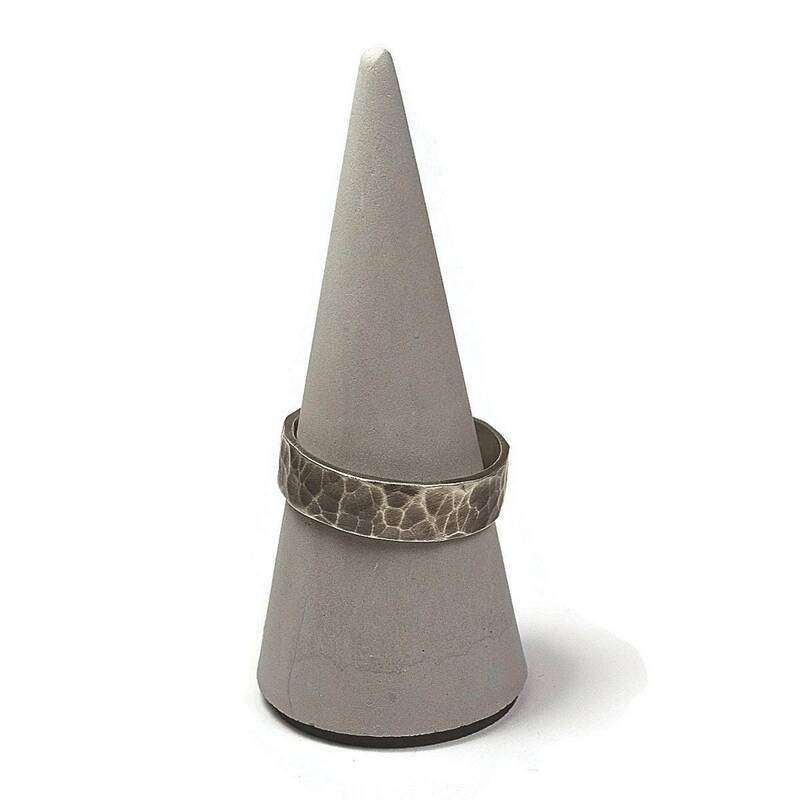 These have a hammered texture giving they a contemporary look and the oxidized finish give a antique appearance. 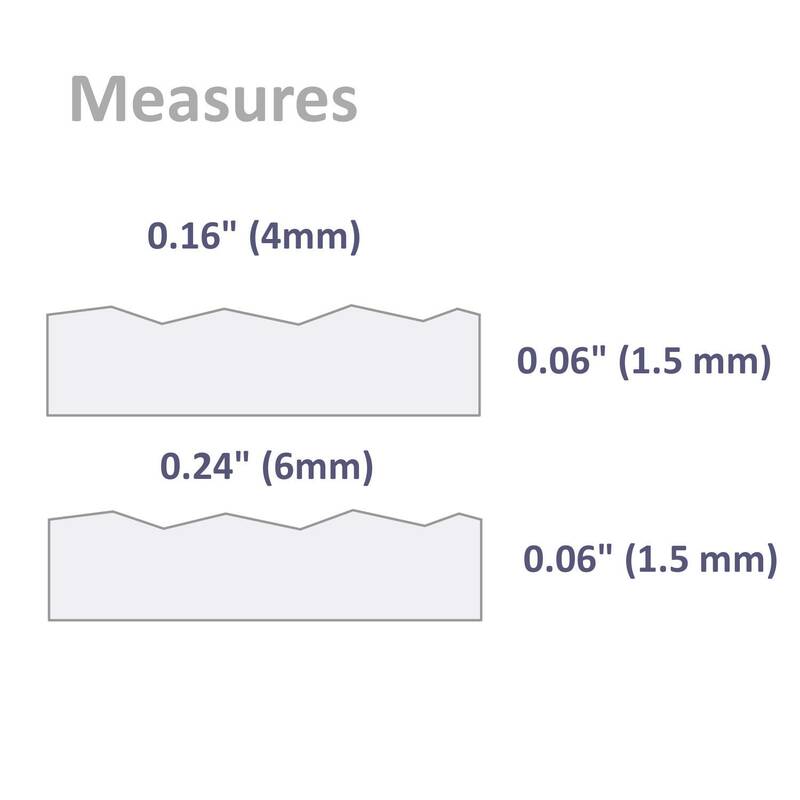 They measures 0.16" (4mm) and 0.24" (6mm) in width and ~0.06" (1.5 mm) thickness. 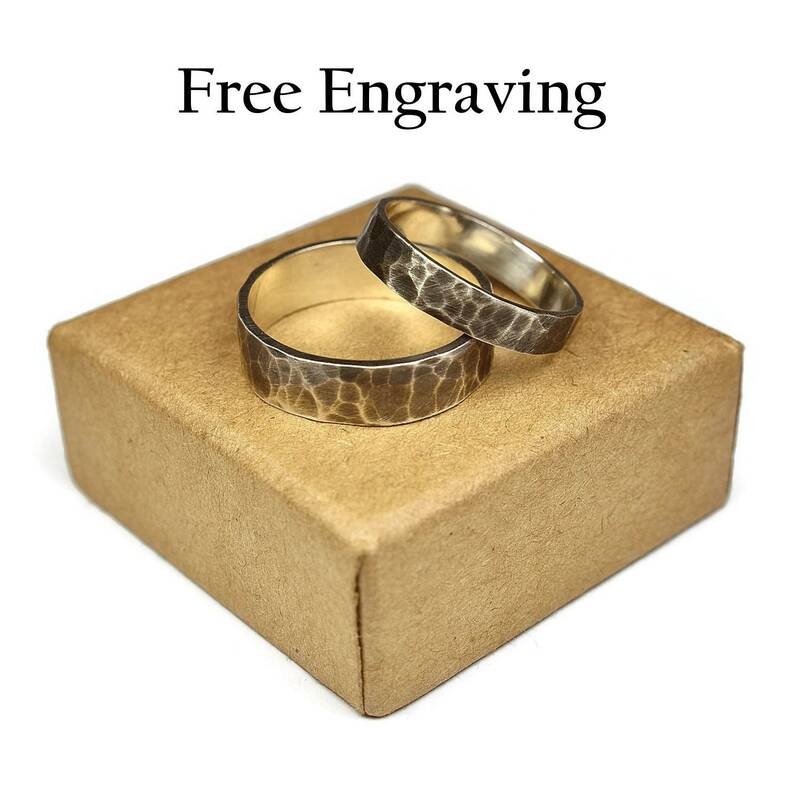 Each antique hammered wedding ring set is unique. There are no two equals in the world. 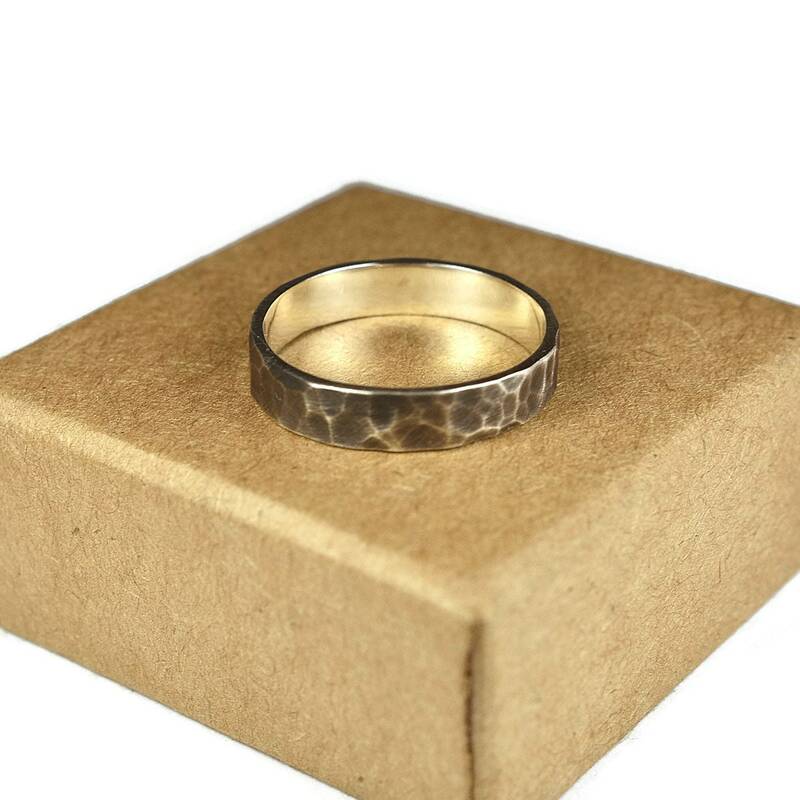 If you buy this hammered wedding band set I wish you enjoy it. 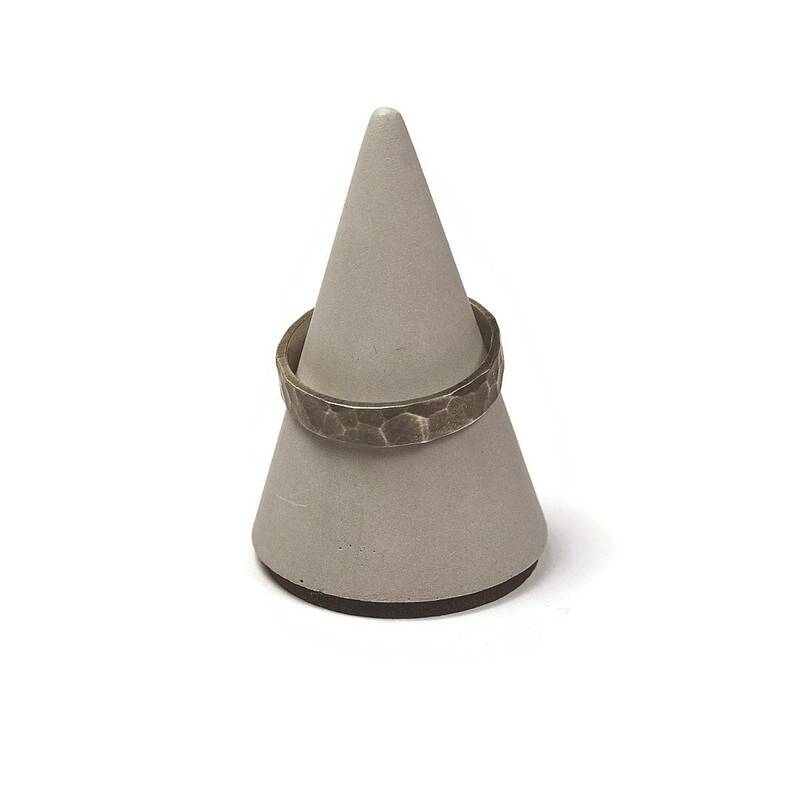 These type of rings have a dark patina created with traditional homemade non-industrial methods. (products are used that do not affect people over time). 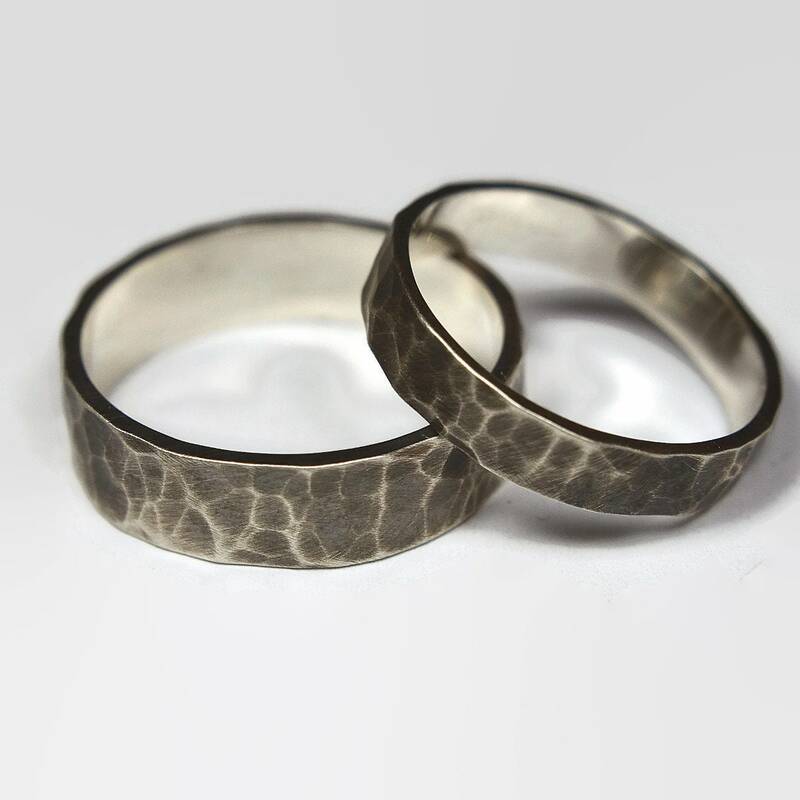 As with all oxidized jewelry, the patina will wear and fade over time, revealing the silver beneath, adding to its rustic beauty and charm. 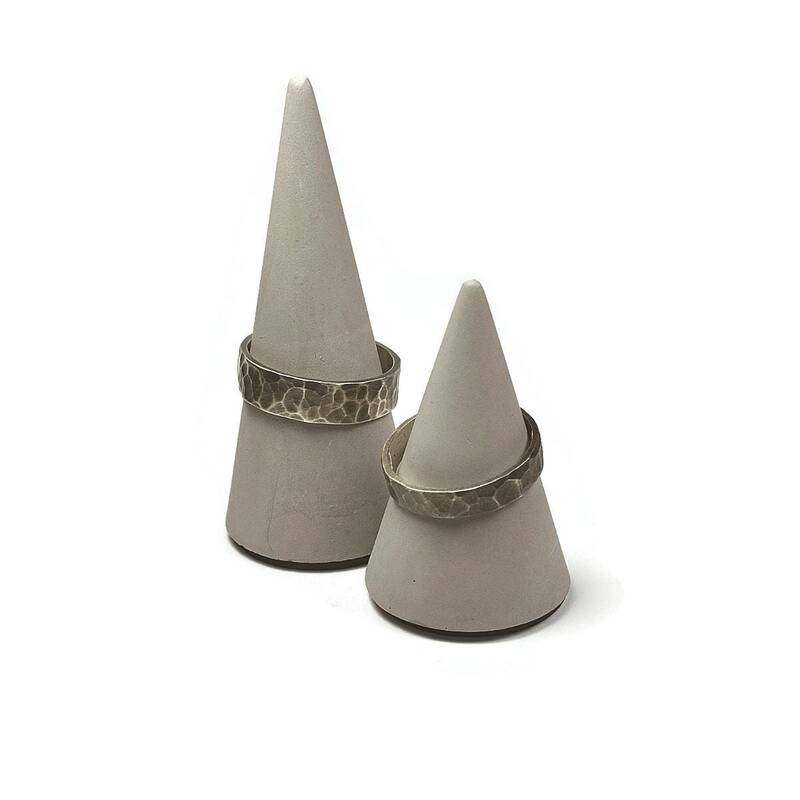 These rings require special care for their conservation. Read in the more section of the store. 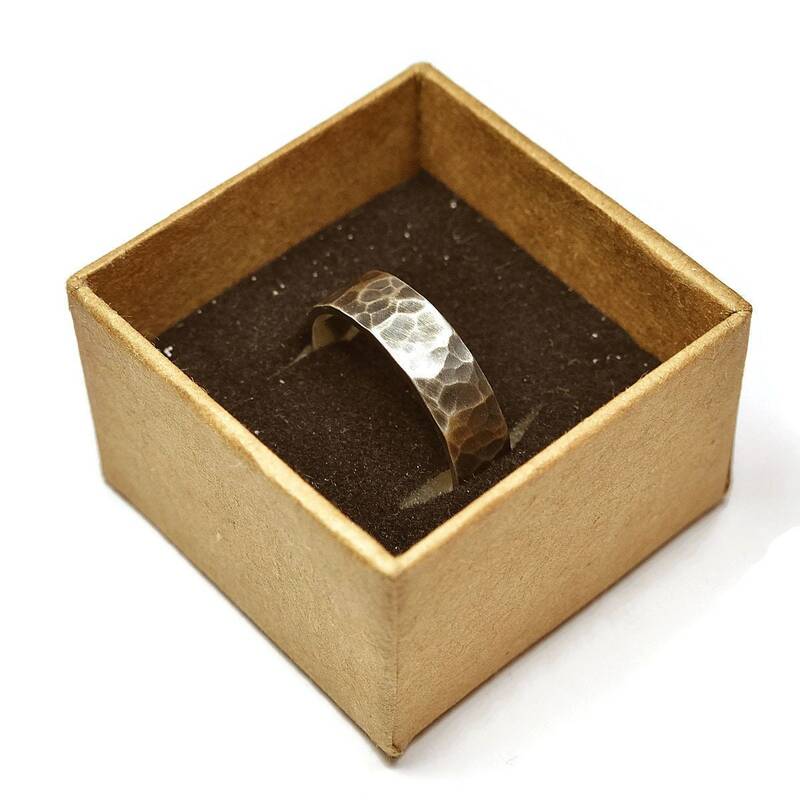 https://www.etsy.com/shop/Lrplana#more-section .